Image caption Phil Harrison said the firm had been running the product on a connection speed of "around 25mbps"
The future of the games industry, at least as Google sees it, is in streaming. It’s a trend that feels inevitable - just ask anyone in the music, TV or film business. Streaming is where it's at, and the possibility for what can be streamed has only ever been bound by the limitations of internet connectivity. Google thinks its technology can make streaming games a plausible and possibly even pleasurable reality. One where gamers aren’t driven to insanity by stuttering gameplay and slow-reacting characters. For the sake of argument, let’s assume it succeeds. Where might Google - with its track record for upending business models, often with unintended consequences - lead the industry? Games consoles are expensive. The games are (mostly) expensive. Google’s Stadia could eliminate both costs, replacing them with a subscription fee. A ballpark figure might be $15-$30 a month - though some predict big name titles might have an additional fee on top, like buying a new movie on Amazon Prime Video. Good news? It depends on where you’re coming from. For gamers, there are a number of hurdles. 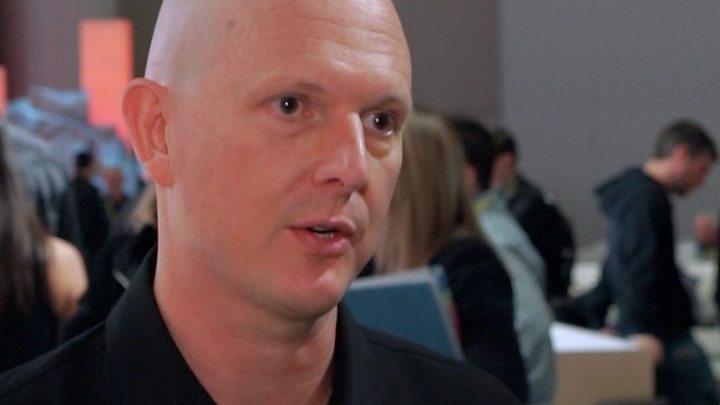 Phil Harrison, Google’s man in charge of Stadia, told me his team's tests managed 4K gaming on download speeds of “around 25mbps”. For context, Microsoft currently suggests a minimum of just 3mbps to play “traditional” games online. And the difference between getting 3mbps and 25mbps? Hundreds of dollars a year in payments to your internet service provider. Or, the difference could be not being able to play at all - 25mbps is more than double the average connection speed across the US, according to research commissioned and part-funded by, er, Google. Mr Harrison did say he's confident the technology will improve so as to allow play at lower speeds, but that's definitely not a promise. So - good news games companies, then? History offers a mixed picture. In the TV/movie business, the deep pockets of Netflix et al have meant studios seem more flush than ever, but you wonder how long that can continue. The $15bn Netflix is planning to spend on new content this year is considered by most investors to be wholly untenable. So that leaves Google, and for Google it is undoubtedly a good move. Without any existing skin in the game of gaming platforms, there is little to lose and everything to gain. Google sees YouTube, where billions of hours of gaming have been uploaded, as just one half of a very lucrative puzzle. Stadia (it hopes) will make up the rest. A bigger question, though, might be how the games themselves may have to change in order to accommodate a new business model if streaming becomes the dominant way consumers access their games. It might leave publishers bereft of a huge income stream, instead scrapping - with the rest of the industry - for a slice of those $15-30-a-months. For big publishers, massive reach, and exclusivity deals, might make the numbers just about add up. And for tiny indie developers, with one or two people, that might work well: a huge audience a button click away. But to me, the model shows signs it could leave a very exposed middle ground of medium-sized games makers, whose costs are too high to be offset by the amount of players the title will attract. With many of the most creative ideas coming via these nimble-yet-powerful studios, I worry what an even tougher business model might do. Now, the wild success and profitability of free-to-play Fortnite, which offers cosmetic upgrades for a fee, shows games makers can make astronomical amounts of money without an upfront cost or overly-intrusive in-game monetisation. But how many Fortnite-esque successes can the market sustain? Two? Three? If it does indeed go for a subscription model, Google has some important decisions to make about how will dish money out to publishers. On YouTube, one of the stats that determines how much ad revenue creators get is "minutes watched”. In gaming, "minutes played” could lead to some developers introducing gameplay mechanics that are counter-intuitive to a good time, but vital if they are to gain income. Or, developers might have to make up the loss of funds by encouraging players to pay for additional items to progress more quickly, in a far more aggressive manner than console gamers are used to today. The ad-laden, endorphin-pumping, lootbox-peddling mobile gaming industry might be considered the canary in a very miserable coal-mine, here. Paying for a games console, and its games, may not be such a bad thing after all.